Finland-based Jolla’s quest as the self-proclaimed savior of MeeGo took a significant step closer to reality with the release of its Jolla smartphone. The Sailfish-powered smartphone makes its way in front of our camera with the hopes of providing something different amidst a sea of Android and Windows Phone handsets. Join us as we take a closer look at what it brings to the table. 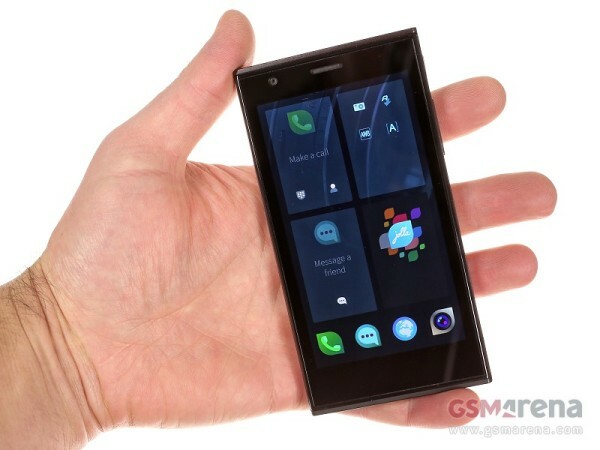 The Jolla comes with a 4.5-inch IPS display of qHD resolution, covered in Gorilla Glass 2. Under the hood is a dual-core 1.4 GHz processor with 1GB of RAM and 16GB of storage. There’s a 8MP primary camera with LED flash alongside a 2MP front-facer, and the entire package is powered by a user-replaceable 2,100mAh battery. At 141 grams, the Jolla feels about a standard weight in hand, and its length and width are compact enough so as to allow comfortable use with one hand for most operations. At just under 10mm, the thickness leaves something to be desired, as it’s not justified by having a larger battery or a second SIM slot, for example. The Jolla follows an intriguing dual-panel design, with the phone’s removable rear panel effectively splitting the device into two equal halves. Jolla has dubbed this “The Other Half,” and offers different color panels that you can switch. But those are no ordinary replacement covers – each of them retains their own settings and enables them immediately after you put them on the phone via the integrated NFC chip. Removing the panel is not necessarily an easy task, and it’s not practical to quickly swap panels according to different scenarios like Jolla advises, like if you need to change the ringtone volume or brightness. As we mentioned, Jolla’s proprietary Sailfish OS powers the smartphone. It’s the spiritual successor to Nokia’s MeeGo OS, except that it has to rely on in-house development for all of the operating system’s closed-source components. This means that Sailfish will come without some of Nokia’s popular mobile components – their excellent audio algorithm, to name but one. One feature that it does have going for it, though, is support for Android applications! You’ll have to rely on third party app stores like the Yandex store that comes preinstalled as Google Play support is not included yet. We’re hard at work on our extensive preview of the Jolla smartphone in time for cozy read by the Christmas tree, so be sure to check back with us soon!